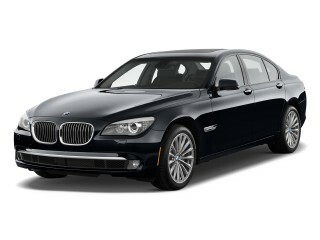 Since a new S-Class is coming in the 2014 model year, you may want to check out a lease versus a purchase. We'd recommend the S550 for those customers--but for buyers who drive their cars forever, the S350 BlueTEC sounds like an eminently logical long-term relationship. The Mercedes-Benz S-Class has a wide range of personalities--all of them superbly comfortably, some of them outrageously powerful. The Mercedes-Benz S-Class is a utility player. That sounds odd to the mass market, but for the very wealthy, the S-Class covers a wide range of needs, everything from the efficiency of the $92,000-plus S350 BlueTEC 4MATIC diesel sedan to the ultraluxury performance of the $211,000-plus S65 AMG. 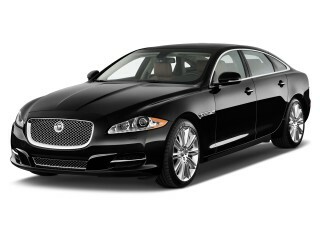 It's a range that encompasses the one-percents of all kinds, from celebrities to CEOs. This year, in spite of an imminent redesign, the S-Class gets no fewer than three new powertrains and new features to go with the shape that's been with it since the 2007 model year. The look's not quite as edgy as the Jaguar XJ, nor as sedate as that of the Lexus LS--and in truth it's had to grow on us over the years. The same cues knit together better on the smaller CLS Class, we think, but they've aged well on the S-Class, even more so inside, where the living-room aesthetic plays up a relaxed feel accentuated by a wide wave of wood trim. Six distinct models make up the S-Class family. Two are green-tinged: there's the S400 Hybrid, which blends batteries, motors, and V-6 power for seven-second acceleration to 60 mph and 25-mpg highway fuel economy, though powertrain integration just isn't as smooth as the superior S350 BlueTEC turbodiesel, which rates 31 mpg highway, and offers about the same acceleration, though it has standard all-wheel drive. The mainstream S550, with rear- or all-wheel drive, now has a 429-horsepower, 4.6-liter V-8 and a seven-speed automatic with gas mileage as good as the Hybrid's, in our experience, and ride and handling that rival anything in the class save for the very small-driving Jaguar XJ. At the top of the range are the V-12 S600, with 518 hp; the twin-turbo V-12 S65 AMG, good for a 0-60 mph time of 4.2 seconds; and the S63 AMG, just a tick slower, and outfitted with a twin-turbo, 5.5-liter V-8 with up to 560 horsepower and stop-start technology that keeps gas mileage as high as 21 mpg highway. Regardless of which powertrain you choose, you get essentially the same interior packaging. And that means you get superbly accommodating front seats, a spacious, well-designed cabin, and easy access and entry for those in back, too. All S-Class variants here in the U.S. are long-wheelbase versions—meaning that even with the front seats back all the way, there's still enough back-seat space, and doors open wide for easy access; it's truly limo-like. Whether you get the active suspension system or the base air suspension, the S-Class will soak up even the roughest washboard surfaces or potholed city streets without ever feeling floaty. Not always smoothly integrated, the S-Class' styling themes have aged well. Call it an image maintained. Today's Mercedes-Benz S-Class has carefully groomed its styling for long-term durability, and while it's not the most expressive or singular statement on four wheels, it does have some curb appeal, and is showing some lasting appeal as it approaches its final year of production. New in 2007, the current S-Class has never been seen as particularly edgy. A blend of some precisely drawn lines and emphatic curves, it was initially seen as a major departure from the bank-vault lines of the S-Class of the 1990s, and the svelte, feminine S-Class of the late 1990s and early 2000s. The tautness of the lines around the fenders has kept it fresh, and the interesting compound lines that collect at the rear quarters were the first taste of the dynamic look that now has erupted across the lineup--most successfully, we think, on the CLS Class. It's not entirely cohesive, but the S-Class' sheetmetal conveys great road presence, especially from the rear quarters, where the perfectly blistered fenders intersect with a rising bumper line. 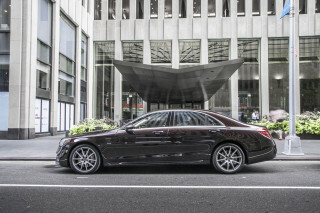 Staggering AMG performance meets impressive diesel fuel economy in the 2012 S-Class. 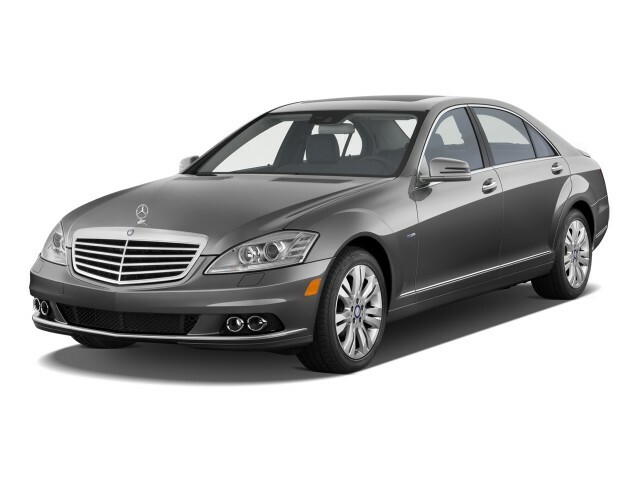 For the 2012 model year, the S-Class family adds a new member--one with better fuel economy than any of the other five models. 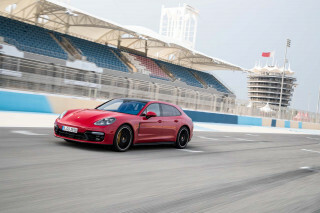 That brings the lineup to six members in all--two with V-12 engines, two with V-8s, one hybrid model, and one turbodiesel. The new S-Class mileage leader is the S350 BlueTEC 4MATIC, equipped with a 3.0-liter turbodiesel with 240 horsepower and 455 pound-feet of torque. Even shod with standard all-wheel drive, it's EPA-rated at 21/31 mpg, and doesn't omit any of the usual S-Class standard equipment in the name of cost savings or complexity, as the hybrid does. Performance is competitive with the hybrid--0-60 mph times of about 7.5 seconds are possible--and on the move, the diesel drivetrain's very refined. 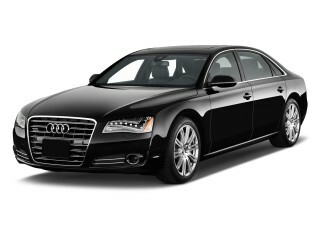 The S400 Hybrid, in contrast, offers less in the way of gas mileage than the S350, and a less refined driving experience. EPA-rated at 19/25 mpg, and priced above $92,000 like the diesel, the Hybrid model's moderate acceleration is the end result of combining a lithium-ion battery pack with 20-hp-equivalent electric motors, a 275-hp V-6 gas engine, and a seven-speed automatic. The mild hybrid S400 has an electric-only mode, but only at low speeds, and incorporates stop-start technology, but in real-world driving, just can't match the seamless experience of any other S-Class, nor their performance, nor the diesel's extreme economy and range. This year's S550 keeps its name, but the engine under the hood is completely new. 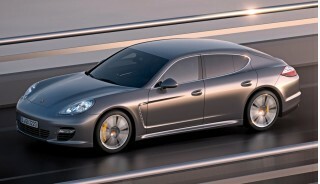 The old V-8's been replaced by a 4.6-liter, twin-turbo unit that lifts output from 382 horsepower to 429 horsepower. Offered with rear- or all-wheel drive, the S550 puts power to the ground through a seven-speed automatic that helps fuel economy greatly: it's rated at either 15/25 mpg with rear-wheel drive, or 24 mpg highway with the added traction. In our experience, the numbers can be a little shy of reality: we've hammered along a 200-mile interstate run at 80 mph and delivered an indicated 25.5 mpg, while cruising on the S550's effortless wave of passing power, with just a little whistle and grumble indicating the change in engine fundamentals underhood. For those looking for something not only better-performing, but more exclusive, there's the rear-drive S600, its 510-hp twin-turbo V-12, its 0-60 mph time of 4.5 seconds, and its peaceful whir during any sort of ordinary commuting. The V-12's automatic has manual-shift programming and the engine is so torquey that it hardly needs to be worried with shifting, but its transmission has only five gears instead of seven. These "mid-range" S-Class models--the diesel, the S550 and S600--are connected cars, with good handling and electronic controls that can filter off the worst offenses the highway can offer up. The S-Class has a very absorbent, well-settled ride that manages to soak up small potholes with little jarring inside the cabin, while remaining remarkably quiet. We would advise, though that the electric power steering in the S550 feels somewhat lifeless compared to the hydraulic-boost system that other versions get. In any case, there's plenty of feedback when you're rounding tight corners at speed, but little 'feel' of the road; the steering's weighting is just a little too artificial. Whether you get the active suspension system or the base air suspension, the S-Class will soak up even the roughest washboard surfaces or potholed city streets without ever feeling floaty. For those craving a near exotic-car level of performance (and exclusivity), but with practicality that's on par with other S-Class models, there are two blistering AMG models. The S63 AMG installs a new engine this year, a twin-turbo 5.5-liter V-8 worth 536 hp (or 560 hp with a Performance Package), and a 0-60 mph time of 4.4 seconds (or 4.3 seconds). 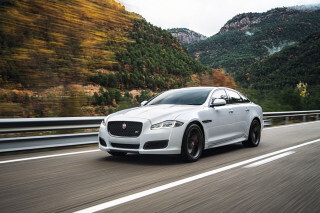 All figures are better than the prior version's 6.2-liter V-8. The S65 AMG, topping $211,000, throttles the turbo V-12 for a stupendous 604 hp, twists out a 4.3-second time from 0-60 mph, and hurtles on to a limited top end of 186 mph. The S63 uses the same seven-speed automatic as the S550, while the S65 gets the five-speed automatic; both adopt AMG's SpeedShift controls, with three shift modes (Comfort, Sport and Manual) for near-total control of power changes. These AMG cars are more different than ever at high speed and on a twisty road because AMG has reworked the electronics for the Active Body Control and employed a torque-vectoring system for quicker turn-in and a more confident corner exit. And the greens have won a victory here, at least on the S63: stop-start technology means up to 23 mpg highway, which means the sedan no longer is subject to the gas-guzzler tax. Few machines offer the creature comforts or the status massage that an S-Class delivers. Since all S-Class sedans sold in the U.S. are long-wheelbase cars, they're all essentially alike, at least in terms of interior and cargo space. Across the lineup, that means spacious accommodations, superb front seats, easy access for those in back, and top-drawer fit and finish, with some fiddly ergonomics to muddle through. In front, the S-Class offers up standard 16-way, power-adjusting seats. They're firmly padded, and wide enough to suit almost any frame; leather upholstery is standard on all models, even the vegan-trending diesel and hybrid versions. Ventilated and heated front seats are an option by themselves, but we'd suggest you spend up to the available multicontour seats. They incorporate sets of air pockets that fill and empty according to cornering forces built up by the car, and though it sounds gimmicky at first, they truly feel useful and comfortable when the S-Class speeds up to a full hustle. Reaction times are quick enough to keep up with even the very fast AMG editions. The long-wheelbase S-Class body guarantees plenty of front and rear-seat leg room, even with the front seats powered all the way back. The rear doors are cut widely, for easy access and limousine-like space, and the seats themselves are sculpted for good comfort. The S-Class' interior upholstery and trims are top-notch; we especially like the AMG models' sueded fabric. Over repeat drives of various S-Class trims, varying from the Hybrid to AMG, we've found these big luxury sedans to be about as tightly assembled and vaultlike as their predecessors, with a detailed, delicate look up close. While the S-Class's cabin is outdone at the base level by top efforts from Audi and BMW, step up to any of the uplevel trims and you get some of the richest textures and finishes you'll see in a German car: case in point, the lush wood trim applied to the dash, doors, and consoles. No crash-test scores are in, but the S-Class' safety technology is pervasive. Neither the the Insurance Institute for Highway Safety (IIHS) or the National Highway Traffic Safety Administration (NHTSA) has crash-tested the 2012 Mercedes S-Class, but it scores highly with our editors for a long history of crash safety and pioneering technology, including some new features bundled into the current generation. With a reputation globally as one of the safest cars on the road, with one of the lowest fatality rates, the S-Class enjoys a long list of standard equipment. All versions sold in the U.S. come with dual front, front side and rear side airbags, and curtain airbags; anti-lock brakes, stability and traction control; active head restraints; adaptive brake lights; and PRE-SAFE, which prepares the car when an accident is imminent, by locking doors and tightening seatbelts, and preparing the brakes for full application. Newer features that have been added include Attention Assist, an alert that senses drowsy drivers and blinks a coffee-cup icon to suggest a rest stop. It's standard on all but the S400 Hybrid. Other available features include Nightview Assist PLUS, a night-vision system that uses infrared sensors to call out unseen obstacles on dark roads; Lane Keeping Assist, which uses electric power steering to nudge the car back into the driving lane when it senses a slip over the lines; blind-spot monitors; automatic headlights; and adaptive cruise control. The S-Class can also be fitting with parking assist, which judges parallel-parking spots and suggests ones in which the car will fit. Advances to the S-Class' stability control now include torque-vector braking, which applies braking to the inside rear wheel to tighten cornering; it's standard on all models except the S400 Hybrid. On cars with the ABC suspension, new programming helps the S-Class compensate for heavy crosswinds by adjusting suspension stiffness. Even in its final years on sale, today's S-Class is still adding infotainment features. Despite its length of time on the market--almost seven years--the current Mercedes S-Class doesn't lack for the latest infotainment features. In fact, it's still adding them as it nears the end of its life cycle. All S-Class cars sold in the U.S. come with a raft of standard features including leather upholstery; dual power front seats; power locks, windows, and mirrors; a sunroof; a power tilt/telescoping steering wheel; an AM/FM/CD/HD/XM audio system with USB and Bluetooth connectivity and an SD card slot. A navigaiton system is standard, too, and it's hosted on a hard drive with 4GB of space reserved for music, and overlays Zagat travel information with its maps. Most versions, from the S550 on up, have even plusher accoutrements, including ventilated and heated front seats; a wood and leather steering wheel; ambient lighting; and a power trunk lid. The main driver of the S-Class' infotainment system is COMAND, which uses a knob controller or voice commands or steering-wheel controls to run phone, audio, navigation, climate, and other ancillary features. It displays on the center stack's LCD screen, and also on a smaller LCD pane on the gauges, where an available Night Vision system also shows obstacles detected in the dark. New this year is a SPLITVIEW screen that layers images on the center display, so that drivers can observe navigation, for example--while passengers see a movie or audio information, simply by virtue of the viewing angle. One complaint of the COMAND system is that some features—such as those for the multi-contour seats—are accessible only through the interface, and don't have more easily controlled buttons of their own. That interface, despite being significantly improved, is still a weak point compared to the latest systems from Audi and Lincoln (as well as the much-improved BMW iDrive). Diesel and hybrid models lift the S-Class fuel-economy ratings from the AMG models' rather dismal lows. With seven distinct drivetrains in its portfolio, the Mercedes-Benz S-Class offers fuel economy that ranges from the ultra-efficient to the dismally delightful. The greenest editions are the turbodiesel S350 BlueTEC and S400 Hybrid. The diesel edition, a new powertrain for U.S. buyers in this generation of S-Class this year, offers up EPA ratings of 21/31 mpg, the highest highway ratings of the entire lineup. 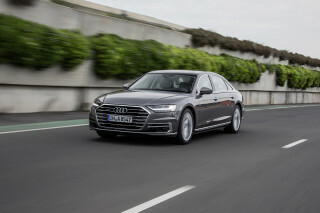 Not far behind is the S400 Hybrid, with its lithium-ion battery pack and V-6 gas engine pairing; it's rated at 19/25 mpg. The new twin-turbo, 4.7-liter V-8 engine available in the mainstream, executive-edition S550 achieves excellent fuel economy in a vehicle the size of the S-Class. Officially rated at 15/25 mpg in the rear-drive S550 and at 15/24 mpg in the S550 with all-wheel drive, it's capable of more. We've clocked an indicated 25.5 mpg on a 300-mile interstate trip where speeds averaged nearly 80 mph. As you dip more deeply into the performance end of the range, the numbers fall precipitously. The S63 AMG fares best, its twin-turbo 5.5-liter V-8 putting down EPA ratings of 15/23 mpg. The twin-turbo V-12 cars are on another planet entirely, probably more due to their outdated five-speed automatic transmissions than anything: the S600 and the S63 AMG both are pegged by the EPA at 12/19 mpg, just a highway mile per gallon better than a Jeep Grand Cherokee SRT8--though the S65 is, at 4.2 seconds to 60 mph, a few ticks faster, too. The most amazing ride you will ever experience.